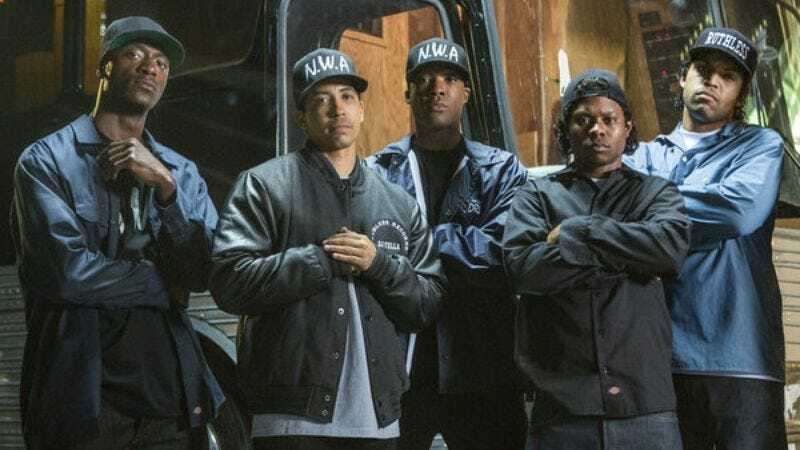 As another good indication of how successful Straight Outta Compton is, multiple studios are now trying to, essentially, make their own “unofficial” sequels and spinoffs. We’ve already reported that radio DJ Greg Mack—an early N.W.A. supporter—recently sold the adaptation rights to his autobiography to the Goddard Film Group, a studio that is, to put it one way, not very well known. Now, rapper Daz Dillinger has announced that he’s making his own pseudo-sequel to Compton that will be titled Dogg Pound 4 Life. As you might expect, it’ll focus on Daz’s Dogg Pound rap group, and—like Compton—it’ll feature appearances from a young Snoop Dogg and Dr. Dre. No one involved in Compton is attached in any official capacity, but Dre will apparently be played by his son, Curtis Young. Also, Suge Knight and Tupac Shakur will reportedly show up as well, making this sort of the Avengers of rap biopics.